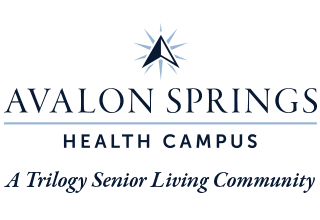 Just like Valparaiso, IN, there’s a lot to discover at Avalon Springs Health Campus. Every day, you’ll have the chance to try something new. Maybe it’s your first bite of Baked Alaska, or your first time working with oil paints. It could even be your first ride on a motorcycle, or your first trip into the sky on a hot air balloon. We believe that no matter your age, your life should be full of firsts. That’s why we take such pride in our wide range of Life Enrichment programs, our varied dining options, and our employees’ commitment to go above and beyond for the people we serve. We’re so much more than healthcare providers. We’re fun seekers, storytellers, lifelong learners and steadfast friends. But even more than all of this, at Avalon Springs Health Campus, we’re family. We built Avalon Springs Health Campus on a foundation of family values: compassion, honesty, respect, and above all, service to others. For over 20 years, we’ve been connecting with people across the Midwest who share these values. Many of them have become Trilogy employees, and many more have become valued residents. We take pride in treating all of them like family. When you choose a Trilogy Senior Living Community, you can count on us to serve you according to our values, and to uphold those values with standards you can depend on. That’s The Trilogy Difference. You’ll feel it the moment you walk through our doors, and you’ll see it everywhere you look. It’s what makes every Trilogy Senior Living community a choice you can be proud of.